Hello dear rose friends as we say GOODBYE to glorious autumn and WELCOME to winter and the start of a whole new season in our gardens! Winter might be considered THE ‘SEASON’ OF ROSES … there’s so much going on in the rose world at this time of year … selecting and purchasing/planting new bare-rooted roses in your garden, pruning roses and getting management procedures in place to ensure your roses grow robustly healthy during the impending flowering season. the leaves of our magnificent ornamental trees have fallen to create a superb mulch over the soil around our trees and although we still have lovely sunny days interspersed with clouds and some rain, winter is with us tomorrow! An email from Catriona … When do you recommend we start pruning? 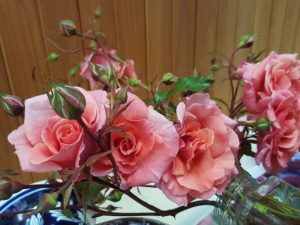 My response: Whenever you like really … we’ll be pruning the potted roses up in the nursery in the next few weeks … garden roses will gradually be pruned as time permits rather more than consideration of the weather since we get soooooo cold here! It’s hit and miss for us because we get such severe frost … prune early can mean the bushes produce shoots which harden in the early frost conditions but prune late and when the bushes shoot, those shoots can be frozen! What suits you ie. Do you travel during winter – prune before or after? I recommend you prune when you’re feeling happy about doing the job – do it in bits and pieces rather than make it a ‘chore’ … we all know that doing a job with negative vibes is way harder and can incur negative responses than when you do a job with joy in your heart and a spring in your step! 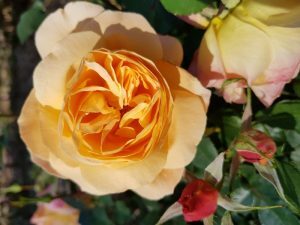 Please know that pruning your roses should be a joyous occasion in your garden – you’re doing your roses a huge favour by pruning them during this winter so that they are able to rejuvenate by producing lots of new water-shoots, healthy foliage and subsequent flower buds for next season’s flowering. Just reminding you and you can pass on to the kids: Chooks are the only things you can eat before they are born and after they are dead! Although the roses are ‘just sticks’ right now, be reminded that those ‘sticks’ when potted into a 20cm pot of top-quality coir-fibre potting mix, will be a magnificent flowering plant by this SPRING and will then endure to be a loving reminder of your consideration in sending a GIFT ROSE during this winter. 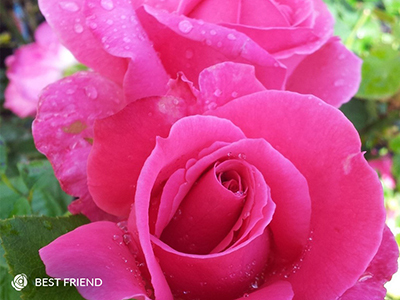 Let our lovely roses do the talking for you! 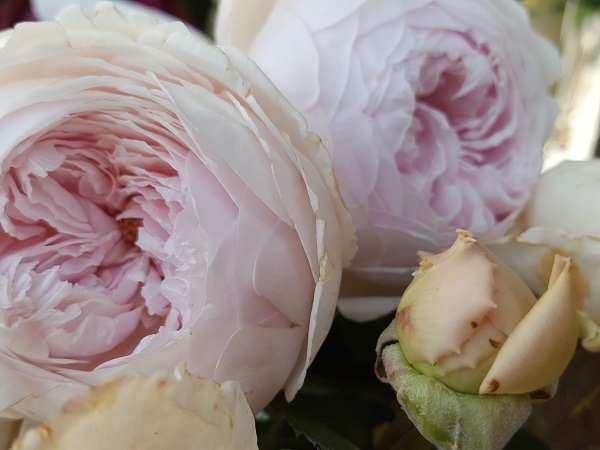 Hello dear rose friends as we welcome the new season’s roses which are being sorted, labelled and very importantly, kept moist AT ALL TIMES during this processing! You’ll be hearing from us soon if you have ordered bare-rooted roses – please be patient and wait for us to contact you as some varieties are still in the ground … remember too, standard roses will ALWAYS BE DUG LATER … it will be July before we call you to advise posting or collection of orders which contain STANDARD ROSES! Add seaweed solution to the final bucket of water and continue seaweed applications at least every two weeks. Q. How can you tell a Martian would be a good gardener? A. They all have green thumbs. Q. Which bird can never be trusted? A. A lyre-bird. May the last days of autumn afford you the joy of stunning fragrant roses and amazing colour from the trees around you! We’re revelling in the last blooms and the most gloriously colourful garden we’ve ever experienced here at Clonbinane! 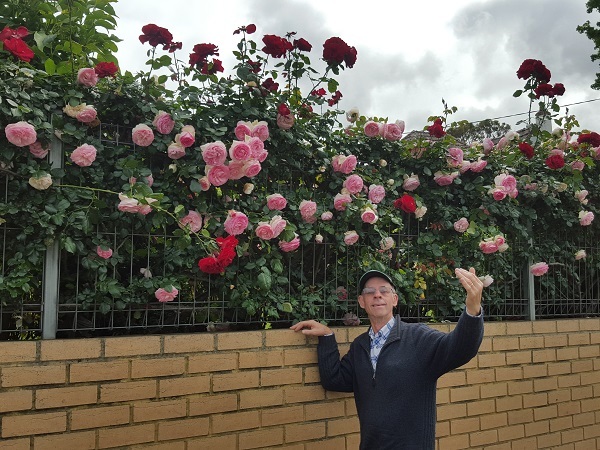 Hello dear rose friends as we return home from a very special reunion at Mt Tamborine, QLD with Graham’s mates from his days in the Rover Scouts – a catch-up with many memories and laughs! I hope all you Mums had a beautiful day last Sunday when your family celebrated your specialness! Diana likes to throw me an impossible task sometimes; this is one of them: If I was only allowed to buy three roses this winter, which would I choose? 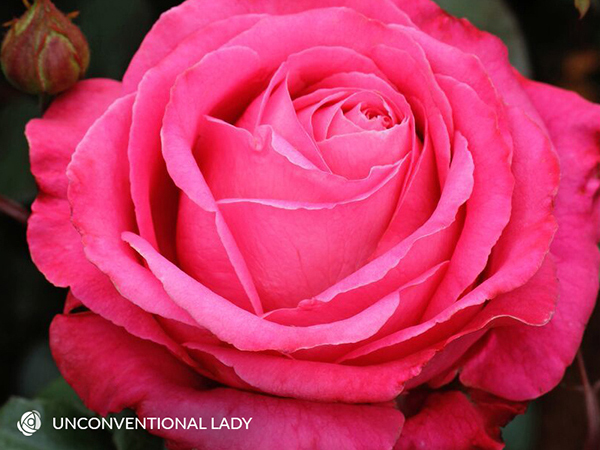 UNCONVENTIONAL LADY – is one of the most exciting new climbing roses because not only does it flower very, very continually but it holds a lot of healthy foliage throughout winter – a really important aspect of covering an area which would enjoy winter foliage! A very highly recommended rose!!! MUNSTEAD WOOD Because I just LOVE this glorious rose which grows on a short hedge-row in my garden … it stops me EVERY time I walk past because I have to take a sniff and its flowering all the time! My favourite David Austin Rose without a doubt! 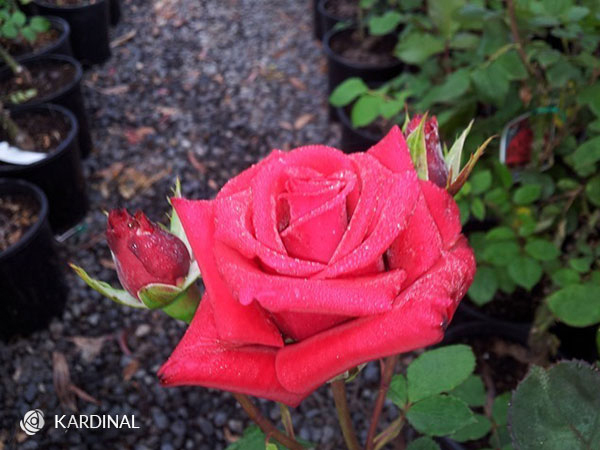 KARDINAL I just have to have the most perfectly formed red rose in my garden so that I can pick bunches of long-stemmed blooms to fill vases for the kitchen bench throughout the flowering season and KARDINAL is so PERFECT! It’s so long-lasting and if you get it at the right moment, yes, it does indeed have a fragrance too! 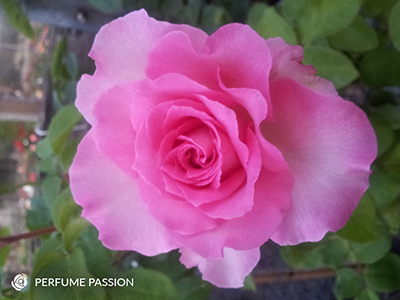 Hi Diana, I was given ‘Perfume Passion’ two years ago. The label said it grew to 1.5 metres. After a year in the ground it just took off! I’ve never seen such vigorous growth (apart from maybe ‘Best Friend‘). Even with a good winter prune I’m finding it’s growing closer to 1.8 metres which is a bit too tall for its current position. Sometimes, the height is determined by the fact that it just LOVES it at your place. Seems that’s the case in this instance – see, I would say to another customer, yep, 1.2 – 1.5 for BEST FRIEND but I know for a fact that there are locations where the rose is growing to the eaves of the house and beyond, simply because it loves the position its planted in and, it was a quality rose from the start! 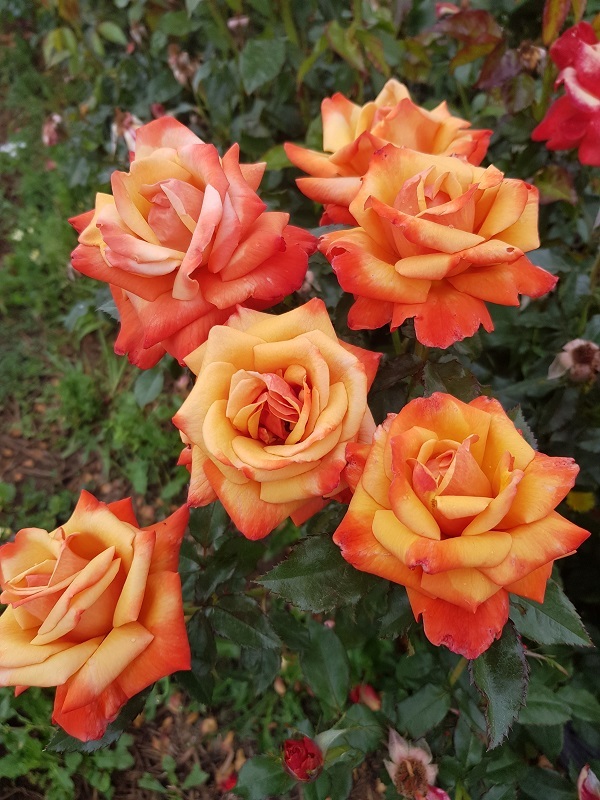 Send your plans, wish-lists and specifications to us at info@rosesalesonline.com.au and we’ll be more than pleased to assist with organising your new or refurbished rose garden from design to soil preparation, rose selection and planting information. 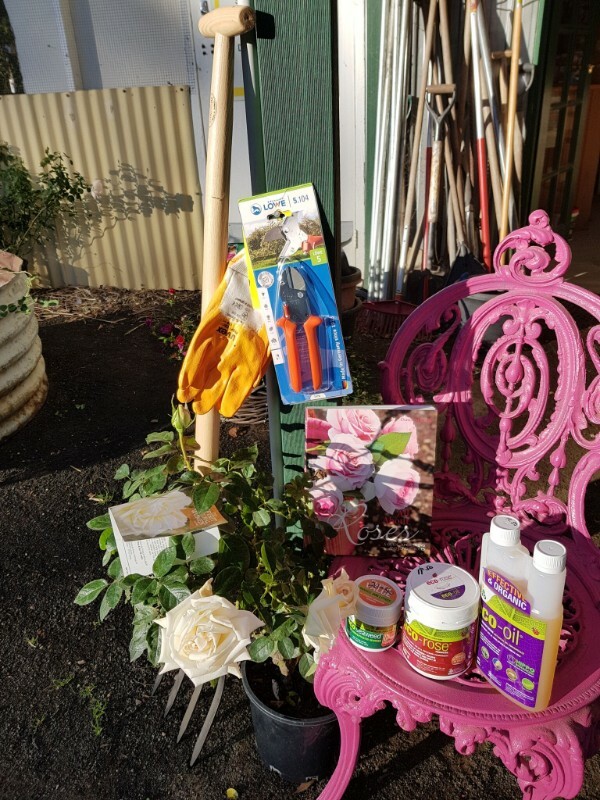 There’s lots of information at www.rosesalesonline.com.au but you’re welcome to call us on 03 5787 1123 any Fri Sat Sun or Mon 9.00am – 4.00pm if you would like to have a chat about anything to do with roses in your garden. Q. WHAT’S WORSE THAN FINDING A WORM IN YOUR APPLE? 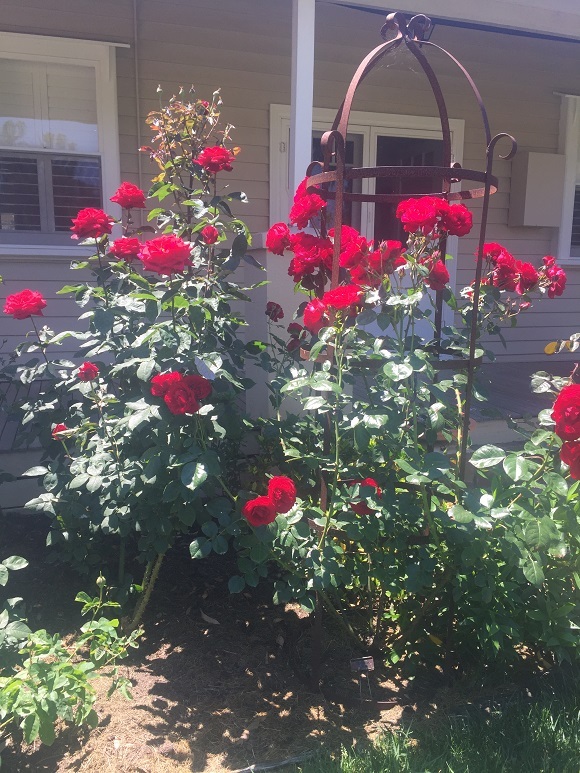 We were overwhelmed by the incredible number of email responses and we’re so pleased to be able to continue presenting this weekly Rose Rambler for your learning and gardening pleasure knowing so many of you actually continue to read it! The reason we did such a low-key Rose Rambler last week was that I had had a rather serious car accident on MY dirt road into Kilmore and wrote-off Graham’s vehicle! I am 100% OK and a walking – talking miracle really! There was a lot to organise and the accident was a signal for me to slow down and take time out to ‘smell the roses’! Graham and I will be taking time out in these next few weeks before the busy bare-rooted season starts. 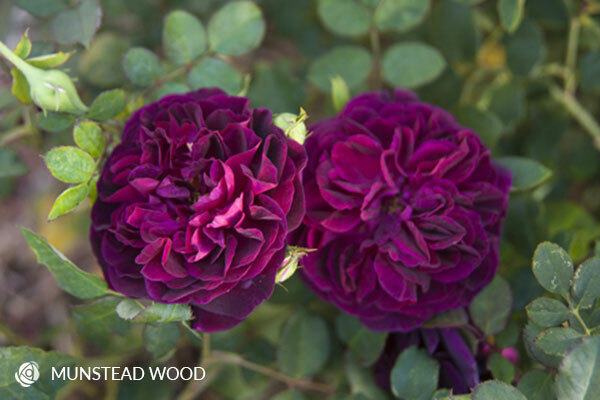 Ben and Tova are more than capable of holding the fort so continue to place your winter orders for bare-rooted roses! 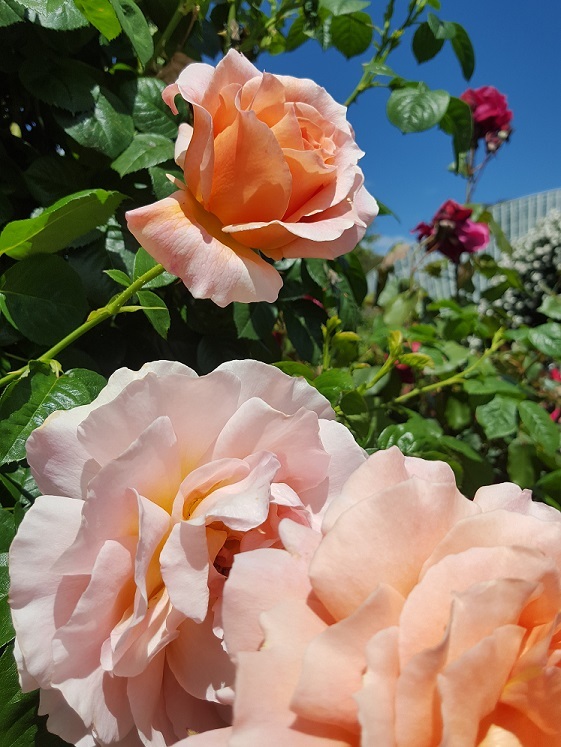 ALI BABA – is one of the most exciting new climbing roses because not only does it flower very, very continually but it holds a lot of healthy foliage throughout winter – a really important aspect of covering an area which would enjoy winter foliage! A very highly recommended rose!!! DREAM CHASER – was one of the outstanding roses in the field this past summer – it’s got everything you want in a rose … highly fragrant, very easy care, extremely high-health and a lovely rounded shrub which just ‘fits in’ … you MUST have this beauty in your garden! MY YELLOW – is absolutely stunning and again, extremely high-health, fragrant and it just doesn’t seem to EVER BE WITHOUT FLOWERS … we’ve been trialling this beauty in our gardens here at Clonbinane and it is EVERYTHING we never expected to enjoy in a yellow rose – an Australian-bred beauty by Bruce Brundrett and if you love YELLOW roses, then this is the rose you MUST grow – a real beauty! 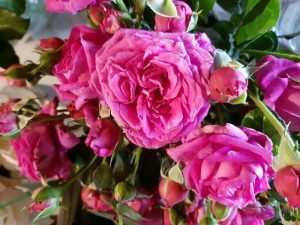 If you don’t like online ordering then call us at the Rose Farm every Friday, Saturday, Sunday and Monday when we are open – otherwise, order at www.rosesalesonline.com.auwhere you can see a plethora of beautiful photos of the roses available for ordering NOW. Q. What do you get if you cross a worm with a baby goat? A. A dirty kid! 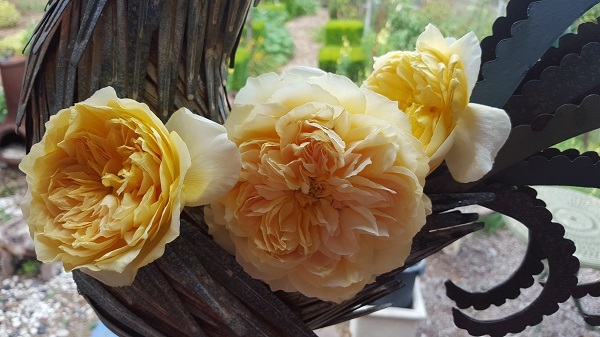 1/4 cup ECO-OIL – although it is an insecticide, ECO-OIL also acts as a ‘sticker’ so it’s a very important component in the organic rose management spray. Thoroughly mix all the products into a spray unit or watering can and cover rose foliage fortnightly during this cool/damp weather to keep foliage healthy right up to winter when all rose leaves will start to show signs of black-spot and yellowing. Remember that this decline in healthy rose foliage is a NATURAL MECHANISM for roses to LOSE their FOLIAGE and go into winter dormancy. When they’ve completely defoliated it will be time to prune – more on that topic later. My response: The organic spray management program works very efficiently, effectively and economically when applied regularly and in line with prevalent weather conditions … so rather than wait for damp weather to affect rose foliage by staying damp overnight and increasing the possibility of black spot or mildew affecting the leaves, SPRAY BEFORE such weather is expected – if and when possible! 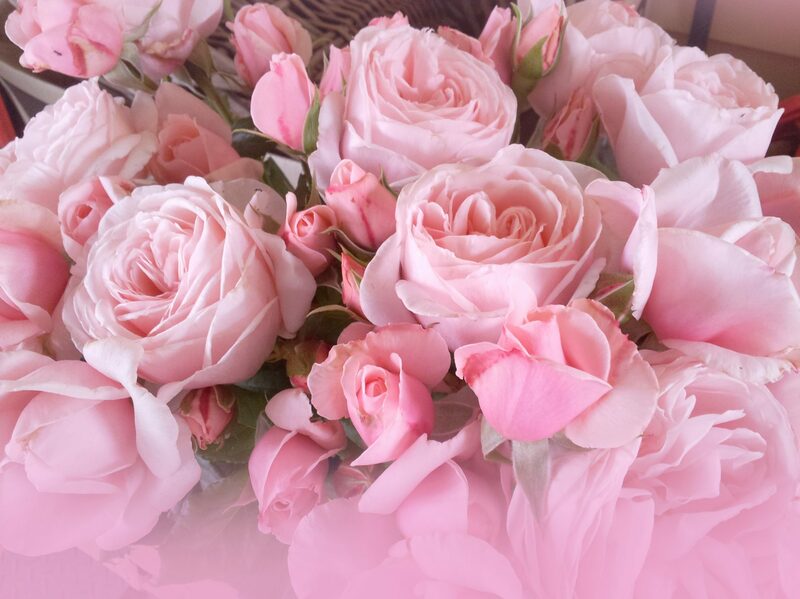 Thank you for continuing to send emails commending the quality of our roses, our helpful assistance with all manner of rose issues and your general approval of how we conduct our business. 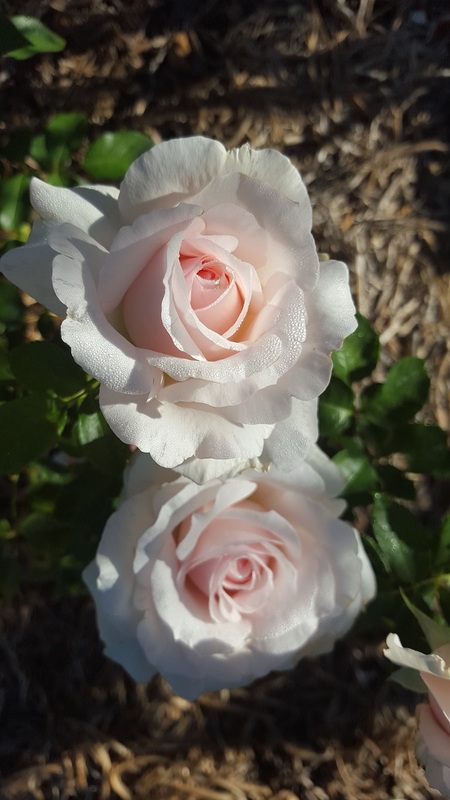 In order to voice your opinion more widely, can you please submit your testimonial on here, so that potential customers will confidently allow us at Silkies Rose Farm and www.rosesalesonline.com.au to encourage them the pleasure of growing beautiful roses in their gardens! 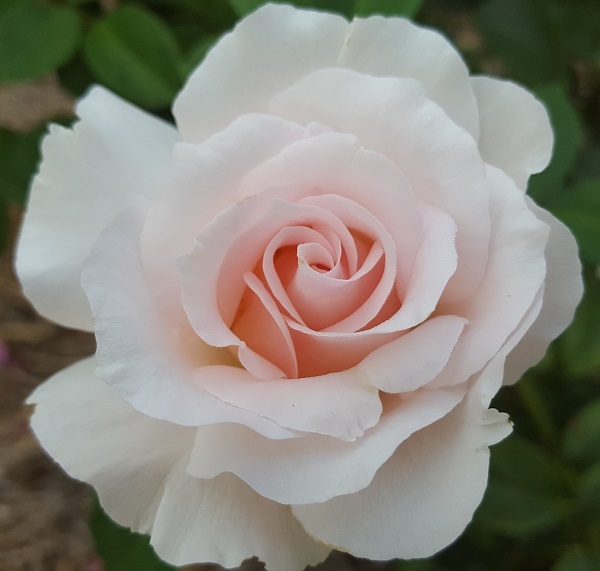 Be sure to ‘smell the roses’ while they are still flowering in your garden and a very HAPPY MOTHER’S DAY to all the wonderful Mum’s / Grandmother’s and Women in general who make this country a loving place for all of us! Graham, Diana, Mooi and the crew of helpers: Ben, Tova and Leigh. Hello dear rose friends as we enter the last weeks of autumn and the cold weather is starting to shut down our rose flowering for this season – we’ve already had some below zero frosts here at Clonbinane! ALL CORRECT ANSWERS to Graham’s joke will be placed in a draw for this great MOTHER’S DAY GIFT PACK to be drawn at the Rose Farm on MONDAY, 7TH MAY at 9.30am (so that it can be posted in time for Mother’s Day gifting). When answering the joke via email to: info@rosesalesonline.com.au please don’t forget to include your name, phone number and postal address! Have a great week in your garden and we’ll be back with lots of rose garden talk next week … cheers from Graham, Diana and the team at Clonbinane.